Renting vs Buying a Home: Which is the best move? For most people, the question of renting vs buying comes down to one thing: money. At a basic level, it is a case of what you can afford. if you can’t afford the down-payment or don’t qualify for a necessary mortgage, you have to rent. Pretty simple really. Beyond that it becomes a little more complicated. Some people will compare the cost of renting vs buying a property. This gives a rough idea of costs over time but it is an unsatisfactory way of looking at things. For example, it doesn’t take into account the sunk costs of renting vs the equity gained by paying off a mortgage. It also ignores the extra costs associated with home ownership such as closing costs, taxes and maintenance. The conclusion of the video? Buying a home will probably result in a higher net worth after 25 years. However, various factors can affect that outcome, such as market changes, the number of times you move house and the strength of investment. It should also be noted that those calculations are based on the assumption that a renter will invest any savings gained by renting. That’s not so easy, so the benefits of home ownership may be greater for most people, who may not have the time to manage a personal investment portfolio on a regular basis. 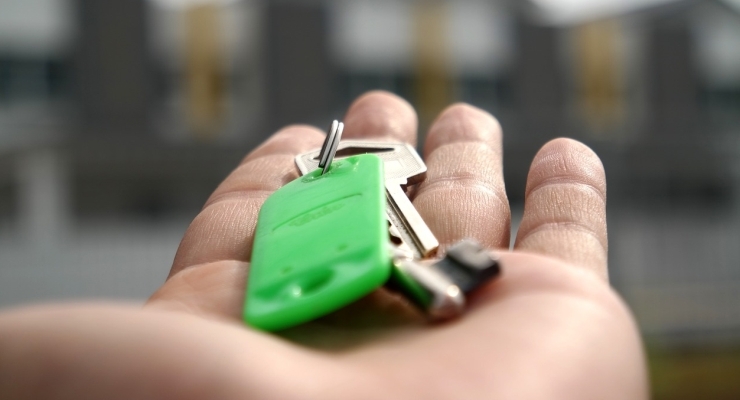 While money is important, it isn’t the only driving force behind a decision to rent or buy. Your lifestyle and goals for the future are equally important and will dictate your decision. You need to think about your current lifestyle and also imagine where you want to be in five years – or even further ahead. If you see yourself living in the same area, buying a house might be the right option for you. If you want the freedom to change location or upgrade to a bigger property in the near future, it might be better to rent because, as mentioned in the video above, moving homes eats into the potential profits made from owning a home. Do you have children and, if so, do you want to put down some roots for them? Is your job stable and/or do you expect to work in roughly the same area for a good length of time? Does the area you want to live in have everything you need and will need in the near future? Do you have family and/or friends either in the area or nearby? If you answered yes to most or all of these, then buying a home might be the better option for you. If you answered no to most or all, there could be a lot of changes for you in the coming years so it might be best to leave your options open and rent. While most of the things we have mentioned can be analysed and assessed, there is one other category that needs to be kept in mind: the intangible benefits of home ownership. Whenever the renting vs buying debate pops up, you will often come across people who talk about the pride and sense of belonging that comes with home ownership. It’s not something that can be measured but it undoubtedly plays a big role in the lives and happiness of some homeowners. On the other hand, you will a sometimes find a person with a contrary view who states that they wish they never bought a particular house. Buyer’s remorse can happen with most purchases and properties are no exception but, anecdotally speaking, those people do seem to be rarer than happy homeowners. Remember, in the situation of a rental, your rights to stay may be precarious. The property is ultimately owned by someone else, and they may not necessarily want to rent the space indefinitely. If the Landlord elects to move themselves, or an immediate relative, into the property, they do have the right to ask the Tenant to leave with a certain amount of notice. In addition, if the Landlord elects to sell and the subsequent buyer wants the property as a personal residence, as a Tenant you would have to leave. Lastly, Tenants ultimately answer to their Landlord for things like excessive wear and tear, damage and other liabilities. So, what is the answer? Should you buy or rent your next home. Well, it’s a complicated answer that can be summed up quite simply: it all depends on your situation.